I am very excited and proud to announce a new clothing collaboration between myself and an awesome brand called Public Space! You may have heard of or backed the initial Kickstarter project that launched an athletic line of clothing that also supports charities, called Wu & Y. 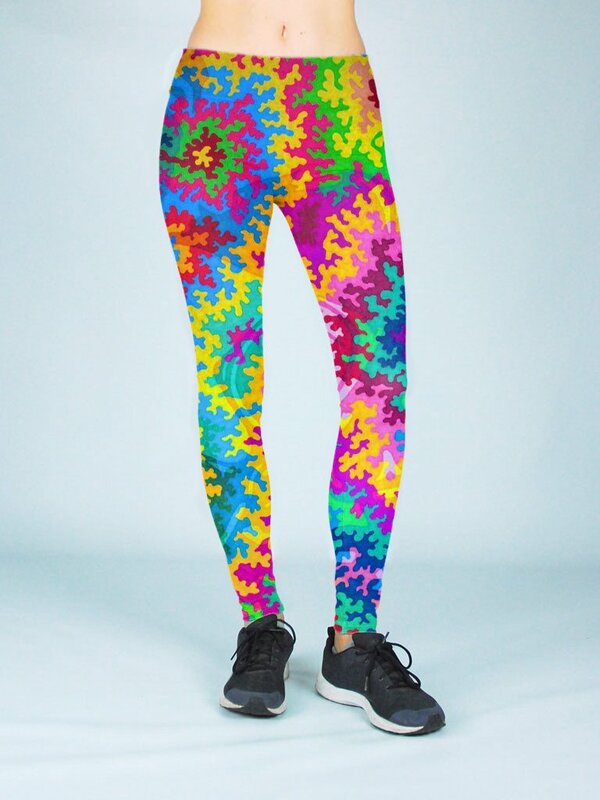 It is an awesome project that involves collaboration with artists, where the particular lines of clothing you help create also help fund charities when an item is purchased. Both the artist, the company, and the charity get a portion of the proceeds from any apparel sale, how cool is that? My collaboration with Public Space is the next evolution of that brand and idea. When I was initially contact by Mike I had not heard of the mission, but was quickly on board as both the goals for the company and the people involved are trying to make the world a better place. It was right up my alley and very in line with the ideas I set for myself as well. Any many others. I am proud to be apart of an organization no matter how small or large that is trying to make a difference in so many diverse areas. 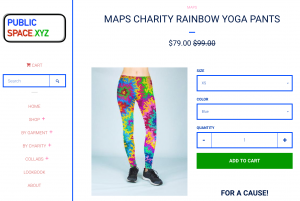 With the collaboration, comes the MAPS Charity Rainbow Yoga Pants using my DYSWIS piece of artwork. I can’t actually believe it has been 2 years since I drew that piece, but I think it still stands as one of my favorite pieces I have created. I look forward to working with Mike and the rest of the crew at Public Space in the future, and hope that our collaboration brings about a better world. There is also a direct link to the product underneath the “Shop” menu tab here at MadisonBahmer.com if you want to jump straight there. I for one am going to be placing my orders here very soon!